In AD, over time, symptoms get worse. People may not recognize family members or have trouble speaking, reading or writing. They may forget how to brush their teeth or comb their hair. Later on, they may become anxious or aggressive, or wander away from home. Eventually, they need total care. This can cause great stress for family members who must care for them. AD usually begins after age 60. The risk goes up as you get older. Your risk is also higher if a family member has had the disease. 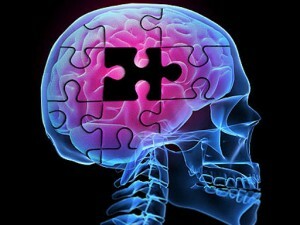 How can Stem Cells Help Alzheimer? Adipose-derived stem cells (ASCs), mesenchymal stem cells (MSCs) isolated from adipose tissue, are well known for their pluripotency and their ability to differentiate into multiple tissue types and have immune modulatory properties similar to those of MSCs from other origins. Using adipose-derived adult stem cells from humans, may be able to help patients regrow healthy brain tissue to address the complications associated with Alzheimer’s disease. Which Kinds of cells are used in Alzheimer disease and how are they obtained? How are Mesenchymal Stem Cells (MSC) administered in Alzheimer? Del Prado Stem Cell Center cares about how you are doing after you return home. So, we will monitor your progress on a regular basis. Regular follow-up also helps us evaluate the effectiveness of our clinical protocols and improve them based on observed outcomes. Therefore, our medical staff will be contacting you after 1 month, 3 months, 4 months, and 1 year to follow up on your condition.